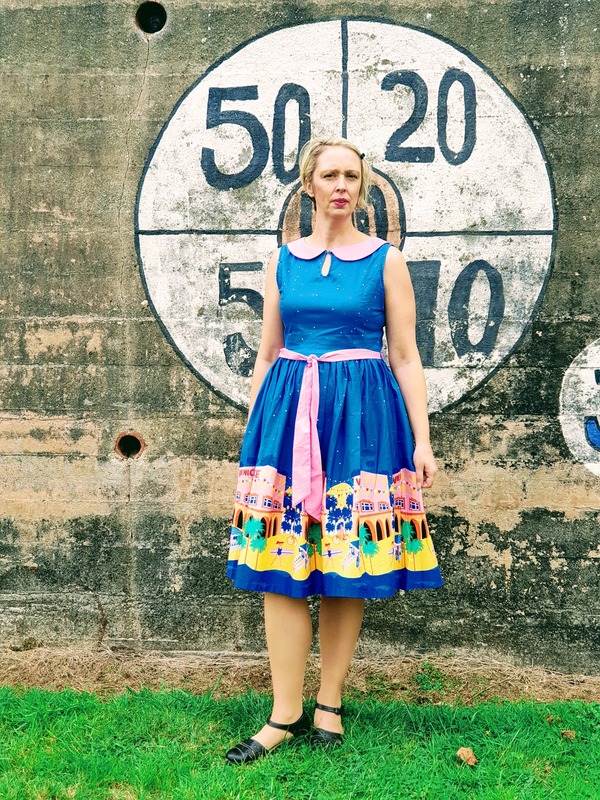 Venice Beach Swing Dress: Over 40 Style. Any fun plans for today or are you off to work? Day off from work for me today and I am going to get my hair cut. I can not wait to get it done, it really feels like it is ready for a cut and colour. 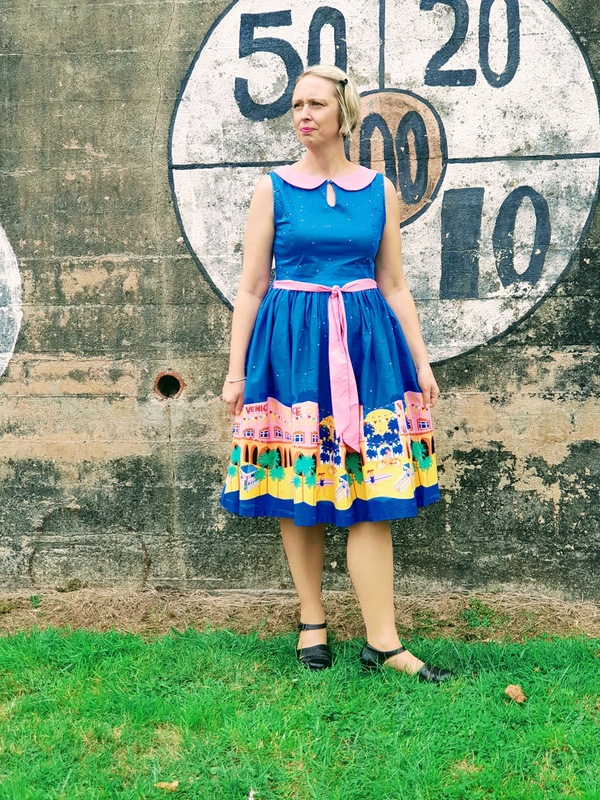 The weather has been really mild for October and I love the fact I can still wear pretty dresses like this Venice Beach Swing Dress without my big cardigan on yet. I wonder how long it will last!? 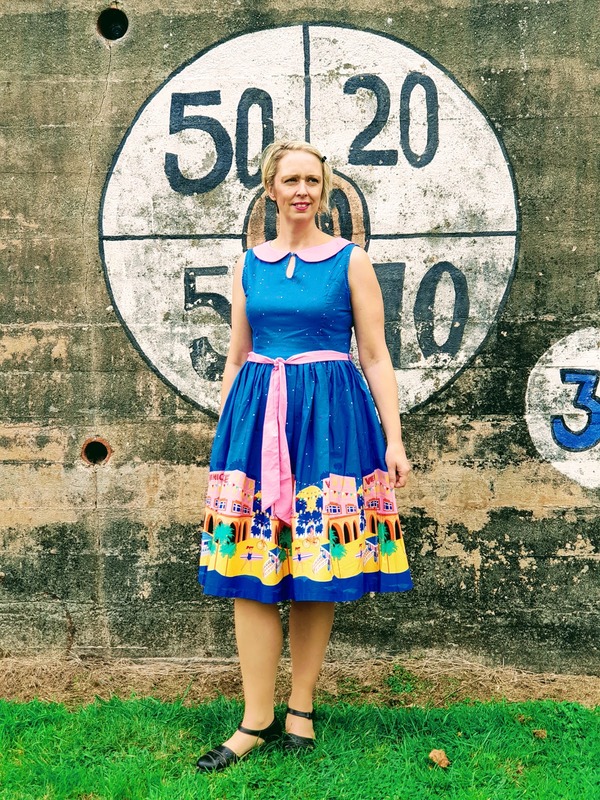 I love the style of this Lindy Bop dress that I picked up a few weeks ago in their end of Summer sale. Have you ever bought from them before? I love almost everything on their website and would wear most of the things there. 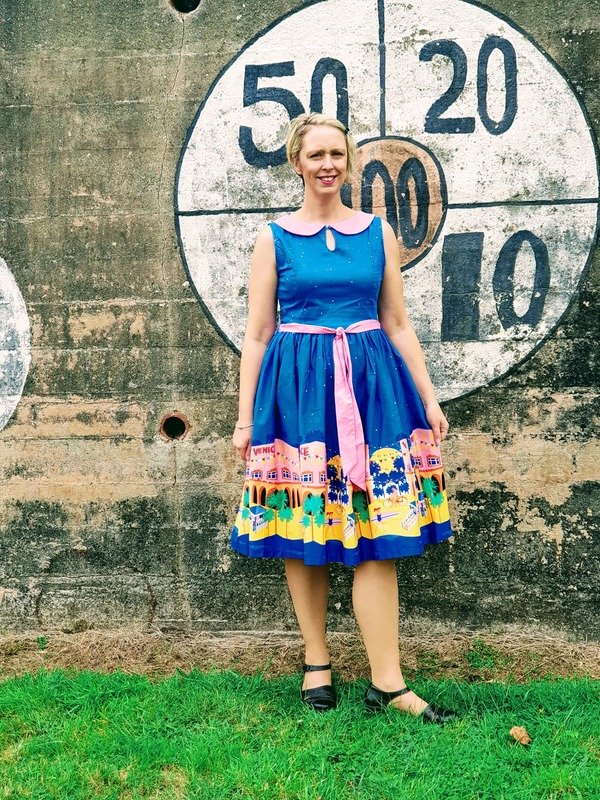 If you like vintage style dresses and retro clothing you would love it too. I really need to get to bed early tonight as I am up early for work tomorrow. I am so out of routine lately and end up going to bed really late. Best not tonight or I will not get up!! I keep looking at Autun fashions lately and keep seeing so many pretty things. I love the brown multicoloured tartan jackets, mustard chunky knit jumpers and long leather boots that are in the shops at the minute. I am being really good though and not buying anything as we really need a new fridge. Do you have your eye on any new this Autumn? 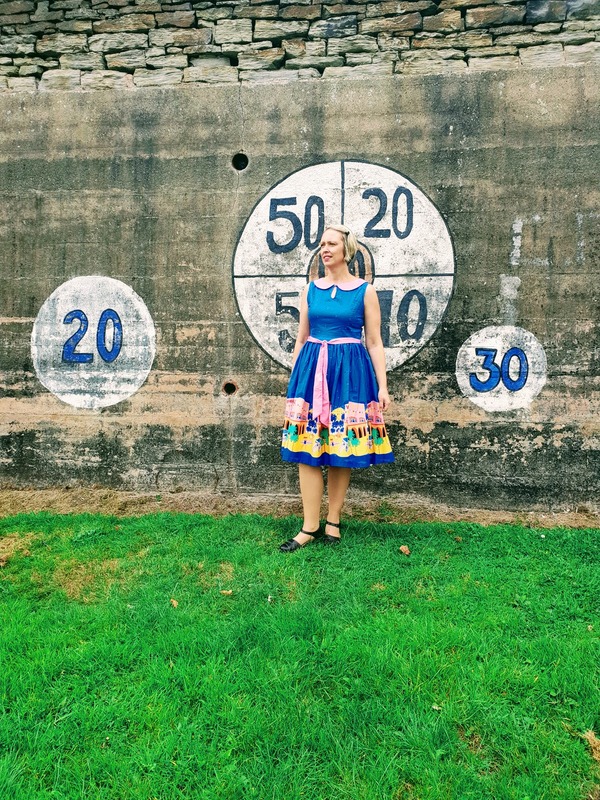 Are you still wearing your Summer dresses or have you packed them away for Winter now? I have packed a few away but keep my special ones out for styling in Autumn with warm tights and cardigans. Thanks Kara :) Me too. You look fab. I love how colourful the dress is. I am so jealous that your weather is till warm enough to wear a dress, and this dress is so gorgeous and looks good on you.